This lot features an incredibly rare full set of 26 Thum Movies, parts 1 and 2, made by Goudey Gum Co. in 1937. 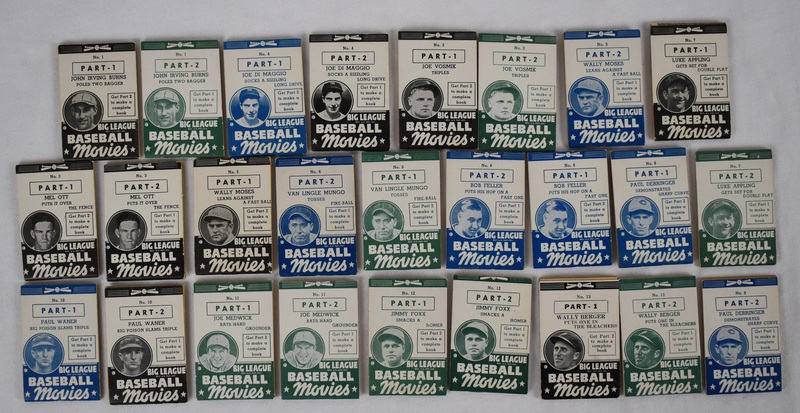 The Goudey Thum Movies (R342) baseball card set was released in 1937. The set consisted of 13 baseball cards in all and each card consisted of 2 parts. 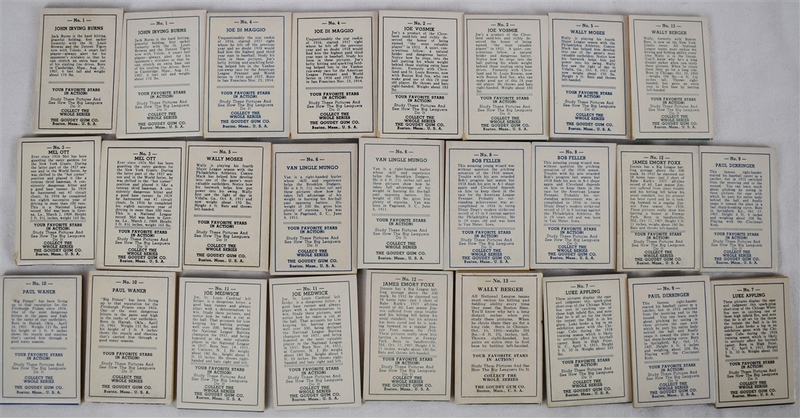 Cards include #1 Jack Burns (John Irving Burns on Card), #2 Joe Vosmik, #3 Mel Ott, #4 Joe DiMaggio, #5 Wally Moses, #6 Van Mungo, #7Luke Appling, #8 Bob Feller, #9 Paul Derringer, #10 Paul Waner, #11 Joe Medwick, #12 Jimmie Foxx (James Emory Foxx on Card) and #13 Wally Berger. Part #1 and #2 of each and every player is included in this rare complete set. The set remains in remarkably nice condition given their 81 year old age. 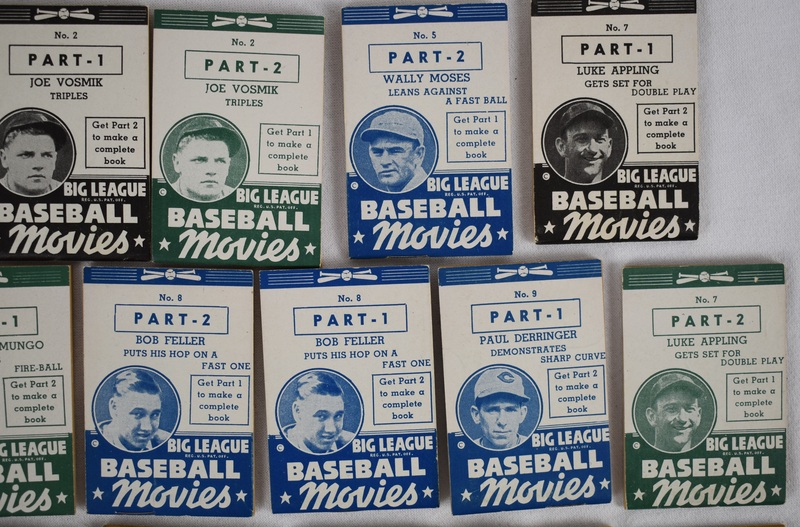 A must have set for any vintage card collector.